For nearly two years, a potentially transformative review of Ontario’s labour laws has been underway by two experts in the field. Within days, they will hand their final recommendations to the government. This is when things get interesting, as Kathleen Wynne’s Liberals decide just how far they’re willing to go. An update to the labour laws was included in Wynne’s throne speech following the 2014 election, with the hope of addressing the growing problem of precarious work. But even the two experts running the review (longtime labour lawyer C. Michael Mitchell and former Superior Court judge John Murray) acknowledge there’s no definition of what counts as precarious work. It can encompass interns, part-time employees, contractors, the self-employed and full-time staff. But it essentially comes down to this: workers who have little job security, few benefits and no collective bargaining power. People who feel insecure in their employment. In other words, the review is aimed squarely at some of the underlying causes of the populist upheaval that has shaken the world (resulting, among other things, in the election of U.S. President Donald Trump). Western countries have entered into huge free trade agreements and shifted from manufacturing to service-based economies. The rate of unionization in the private sector has dropped steadily, and the sharing economy is on the rise. Labour laws have generally not kept pace with these changes. Almost everything is on the table in the review. Ontario’s business community evidently did not take this seriously at first, neglecting to submit comprehensive feedback. As a result, Mitchell and Murray decided to release an interim report last summer. This had the desired effect: people were shocked to see the range of options inside. The report openly considers steps to make it easier to unionize, expand the kinds of unions that can be formed (everything from doctors and lawyers to domestic workers in private homes) and boost collective bargaining power. Some of the options would be a return to the early ’90s, when Bob Rae’s NDP government ran the show. Some businesses groups are clearly spooked. They created a new lobby organization called Keep Ontario Working, and took to the op-ed pages of the business press. “If adopted, the proposals . . . would make the province the most radical left-wing environment for businesses in the Western world,” wrote employment lawyer Howard Levitt in the Financial Post in September. The completed review, with its final recommendations, is due to land on Labour Minister Kevin Flynn’s desk any day now. The question is what the government will do with it. 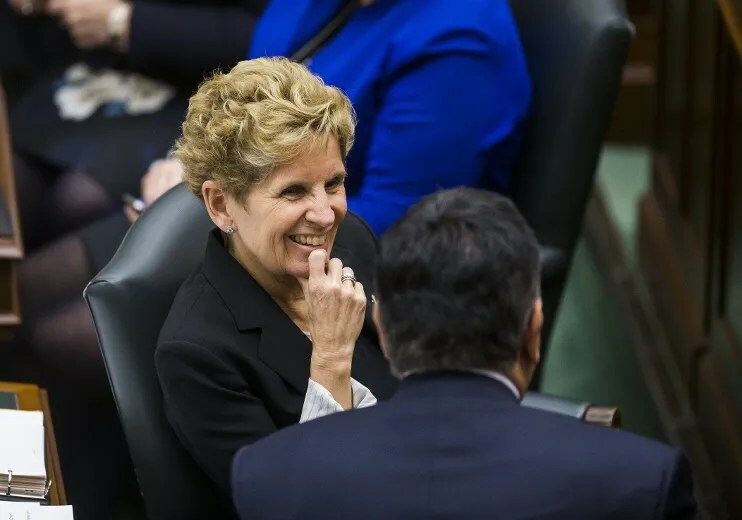 This has the potential to be very controversial, and it will be a test of the Wynne government’s boldness at a time when it is sensitive over its lowly polling numbers. Business leaders tend to have a lot of political power; non-unionized employees tend to have very little. Also, you may recall an election is coming. In an interview, Flynn said he’s confident the government can come to a reasonable balance that doesn’t hugely antagonize business groups. But he is also determined to stay focused on vulnerable workers. This entry was posted in Uncategorized on February 25, 2017 by greybrucelabour. PICKERING, ONTARIO – Wednesday, February 22, 2017 – In just over a month, 10,000 Ontarians voiced their support of the Ontario Government’s decision to operate Pickering to 2024 as a key element of Ontario’s Long-Term Energy (LTEP). This is in addition to a recent poll conducted finding 69 per cent of decided Ontarians support the operation of Pickering to 2024. Reliable power for 1.5 million homes a day around the clock. Low-cost electricity that is 30 per cent less than the average residential price, which will save ratepayers $600 million if it was to be replaced by alternate sources. Carbon-free energy, which avoids 17 million tonnes of greenhouse gases, keeping our air clean. Ratepayers benefiting from avoided costs under cap and trade pricing by using clean Pickering nuclear. Between 2017 and ’24, Pickering will avoid between $1.3 billion and $1.8 billion in cap and trade costs that ratepayers would have to fund if this output was to be replaced by fossil fuels. Innovative health care uses, producing 20 per cent of the world’s Cobalt-60. The Pickering 2024 website (www.pickering2024.com) was launched by the CNWC to illustrate the deep support for the continued operation of Pickering until 2024 as part of the LTEP, as well as low-cost, safe and reliable nuclear electricity. Shier said the operation of Pickering to 2024 will save Ontario electricity consumers $600 million and will generate low-cost electricity while reliably providing 3,100 megawatts of carbon-free power, 24 hours a day, seven days a week. 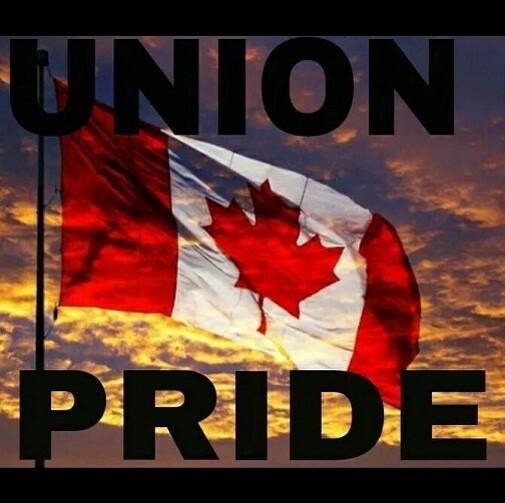 The Canadian Nuclear Workers’ Council, founded in 1993, is an umbrella organization of Unions representing workers in all sectors of the Canadian nuclear industry. Represented sectors include electric power utilities, uranium mining and processing, radioisotope production for medical and industrial purposes and nuclear research. This entry was posted in Uncategorized on February 22, 2017 by greybrucelabour. This entry was posted in Uncategorized on February 18, 2017 by greybrucelabour. This entry was posted in Uncategorized on February 11, 2017 by greybrucelabour.